If you would like to enter your Testimonial please click this line to proceed. Thank you for your participation. Jeff is The Best, he helped me with my confidence with Wallis. I was starting over with a puppy after losing my dog that I had for fifteen years, so it had been a long time since my last puppy. Jeff was able to give me the right tools and reminded me to be patient with Wallis. After six sessions of training, I was able to be in control of my puppy! Joe and Patrice N. and "Buddy"
We learned about Jeff at a local street fair. We stopped and discussed our dog Buddy with Jeff. Buddy was having issues with other dogs when we walked him. While he was not aggressive he needed to be controlled. Jeff came in and evaluated Buddy and let me say that on the first contact, Buddy’s behavior could be improved using the techniques that Jeff showed us.Jeff would first demonstrate the techniques while be observed and critiqued us. This gave Buddy, Joe and me the confidence that we all needed. Jeff was always proactive and his approach was "on" when the situation warranted. Jeff introduced other dogs to our sessions, Buddy looked at Jeff as a friend, just as Joe and I did! We cannot say enough good things about Jeff and our experience. 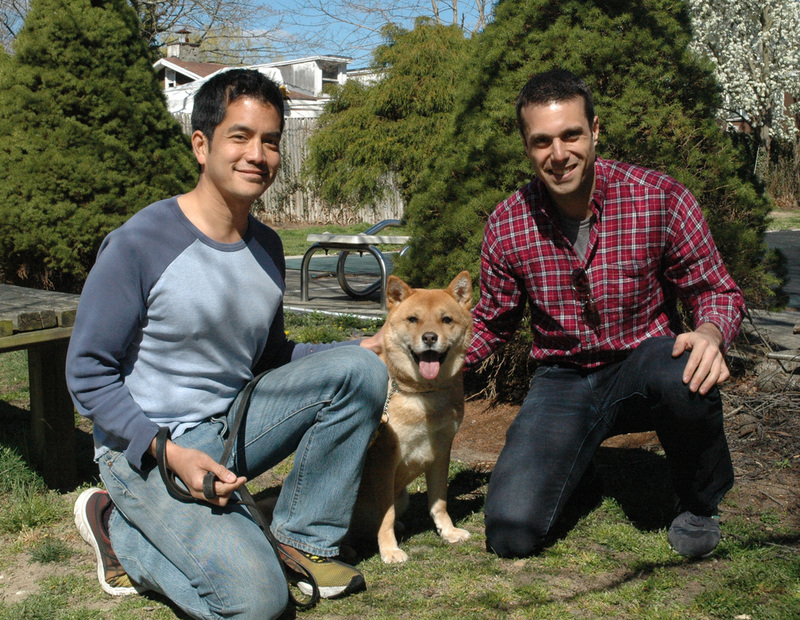 Ryan L. and James R. and "Keiko"
We got Keiko from the shelter and were so excited to bring her home but within half an hour being home it took a bad turn- she all of a sudden snapped, lunged forward trying to attack and took over our living room. If we tried to enter she would snarl and lunge forward. We got a referral to Jeff. He came over to asses Keiko and recommended three weeks of Behavior Modification at Jeff's center followed by in home training. Keiko, progress from training was nothing short of amazing in just three weeks time, Jeff helped build her confidence and train her on commands. Jeff worked with us on training so when Keiko returned home we were in complete control and had the skill set to continue training her. Today she is a very sweet and loyal dog, albeit some quirky and vocal behavior but that's part of her breed and the fun- we're very thankful for all Jeff did so we can have Keiko in our lives. 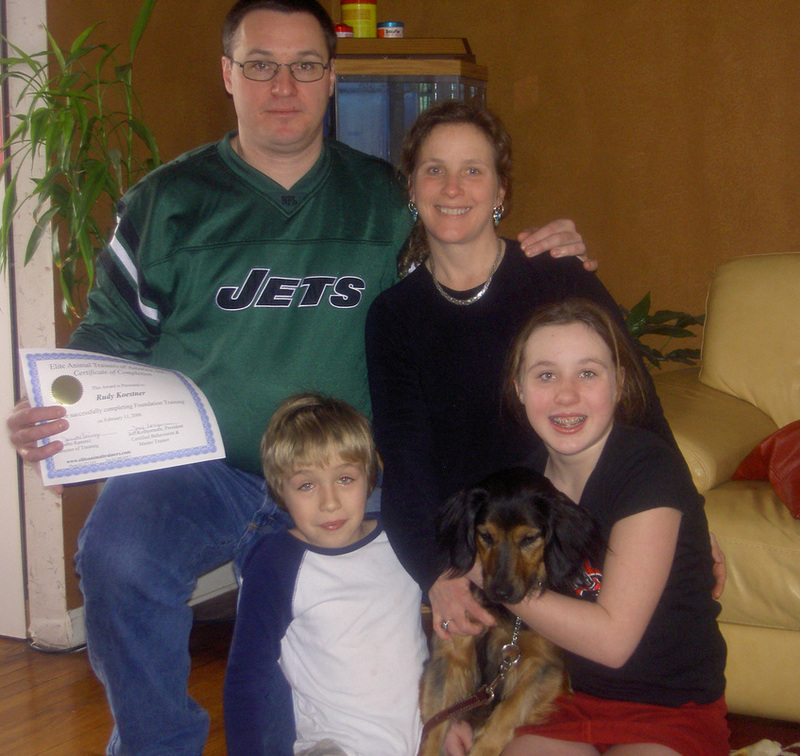 When we adopted our mix breed dog Mattie from a shelter, we were unsure how the dog would react with our 2 other dogs and the children. Although to the untrained eye she seemed adorable and kind, we wanted a trained expert to put our minds at ease. Mattie was nervous and territorial. She would bark often without us knowing why. Jeff immediately gained Mattie’s trust and taught us how to do the same. Thanks to Jeff, the transition was smooth and effortless. When I contacted Jeff, I had already had another trainer come to my house. That trainer only spoke with me and didn’t even go near Max. 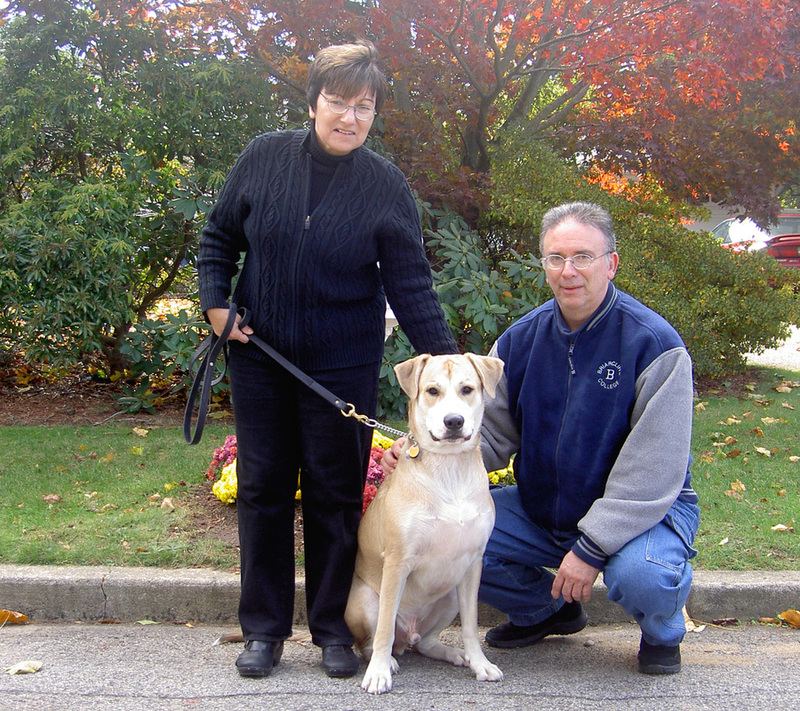 When the trainer/behaviorist Jeff and his assistant came over he immediately requested to go up and see Max. Jeff was on the floor trying to encourage Max to come out of his crate. He evaluated Max as having fear aggression. Max went to Jeff’s camp for 5 days and came home a different dog. He was the same loving, beautiful dog but he was much more confident and happy. Max continued to have sleepovers at Jeff's Center for a few weeks one time each week. We would turn the corner near Jeff's Center and Max would go crazy. He was so excited to see Jeff! Jeff and his team saved my beautiful Max and therefore saved me and my family. None of us could imagine life without our Max. 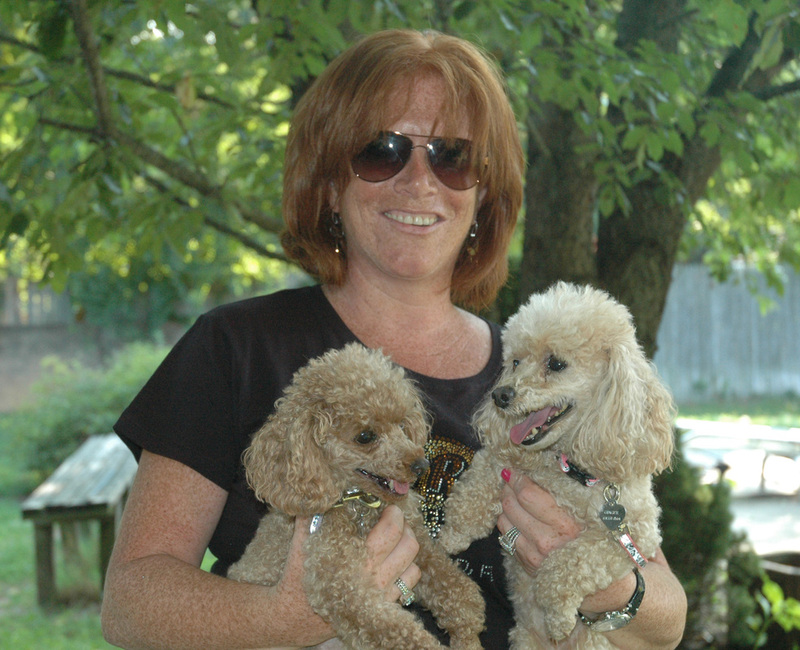 I will be having Jeff start working with my other toy poodle Ginger on foundation training. I’m recommending Jeff to anyone with a dog! 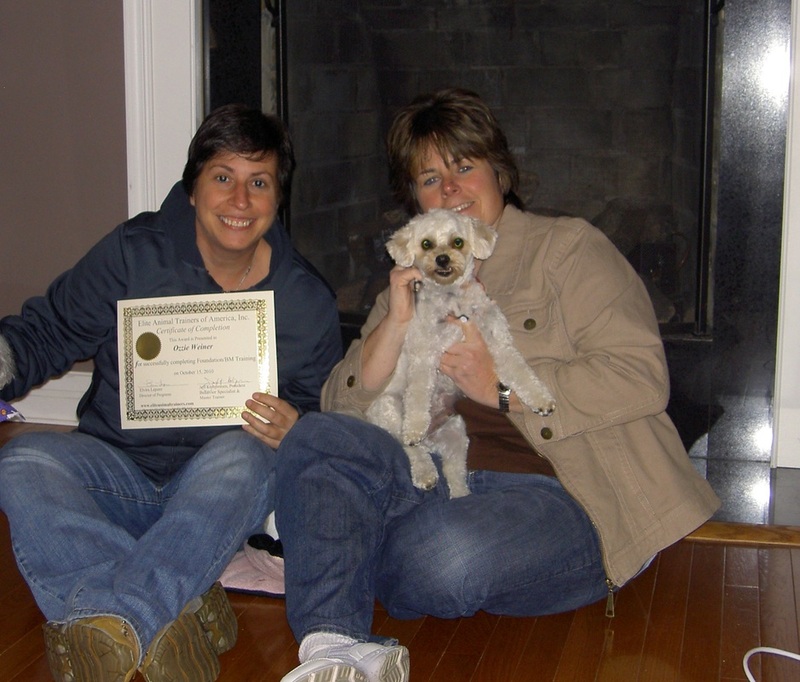 Jodi W. and Deirdre O. and "Ozzie"
We got a 2 year old Malti Poo from the animal shelter. At first everything was great, but after a few weeks he started to become very aggressive and bit us badly. We tried training and got him to a higher level, but we still had unresolved issues. We decided we needed a behavior specialist, not just training. Jeff was recommended to us through a veterinarian, and it was the best decision we made. He got us to the point where we could control him, and he is more loving and fun than ever. We rescued our Border Collie Sheba from a shelter. Previously we have owned 2 dogs, each of which we had for fifteen years. They were Shepherd/lab mix dogs. After about three years of not having a dog, we decided it was time again. It was soon apparent that a border collie is “more work” that our previous dogs. Sheba was dominant and showed signs that she was abused. She would flinch every time we went to pet her. You also could not get a collar on her. She was very afraid. We needed to get control. We hired a trainer that taught us that we need to be the “pack leader”. The problem was that he didn’t’ know how to get “into her head”. Sheba did improve but still didn’t trust us. She bit my husband twice and me once because we either caught her “off guard” or cornered her. There was an advertisement in the local paper of a dog show. Jeff was listed as attending. Unfortunately, we were not able to stay to see his exhibit but the next day I called to make an appointment and that was the BEST phone call for all of us. The other alternative would have been euthanasia which we did NOT want to do. 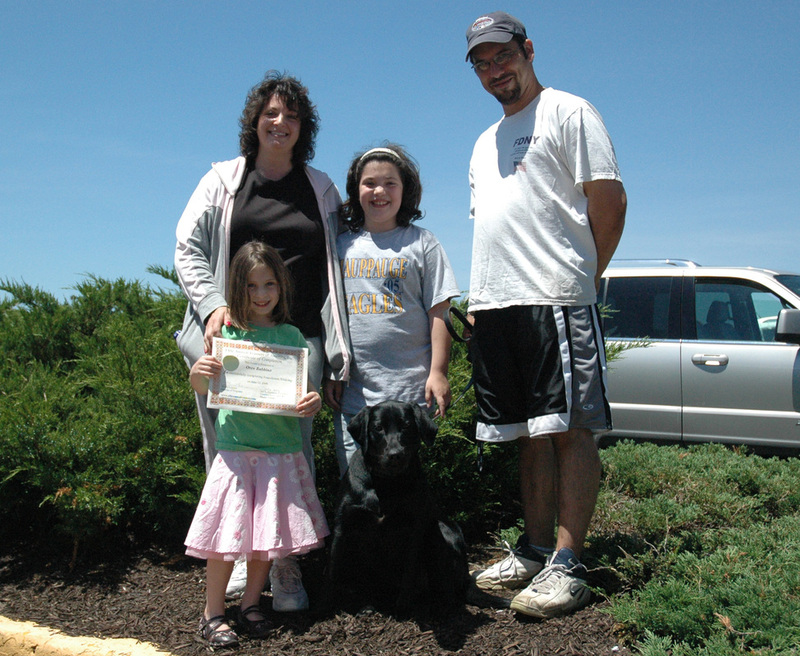 We saw that deep down Sheba was a sweet and loyal dog. The first time Jeff came to our home he spent 2 hours trying to get a training collar on her. He never gave into her and finally between him and my husband Tony, it was accomplished. Jeff has the patience of a “saint” and taught us to be consistent and confident. From that day on we knew we made the right choice in contacting Jeff. Sheba is a fast learner. On the other hand it took us a little longer to “get it” but we did it together. We now have wonderful walks together and she listens well to commands. She still tries to be in charge but now we know how to correct that behavior. We are looking forward to a long and happy time with Sheba. Thanks again to Jeff and his caring staff. Sheba was always very happy to see Jeff. We are all going to miss his once a week visit/training sessions. We NEVER would have been able to achieve what we have without Jeff. Mike S. and "Thor" and "Vador"
Many times when you visit a website the company tends to make themselves look much better than they are for services, reliability and knowledge. Jeff exceeded my expectations. I found everyone on Jeff’s team to be friendly, courteous and professional. Even more important I got a good education on dog behavior from Jeff. I saw instantly how he communicates with dogs. My dogs are 75 and 100 lbs, they both have issues. Not anymore. My family and my Boys ( Thor and Vador ) are very happy. Jeff should be on T.V. 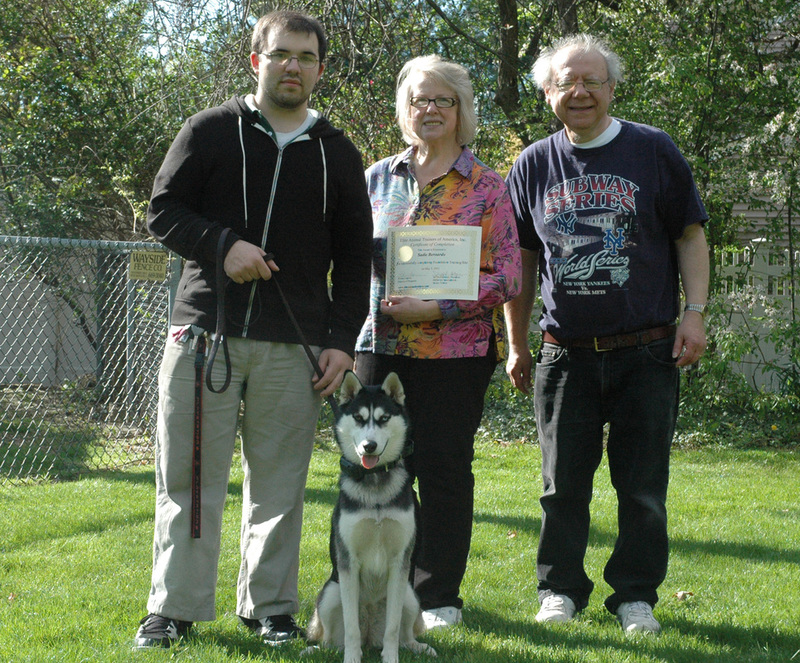 Alex W. and Family and "Gloria"
We consider Gloria, our 4 year old Border Collie mix, a “special needs” dog. We adopted her from the shelter two years ago, but we did not see her fear aggression until several months after the adoption. 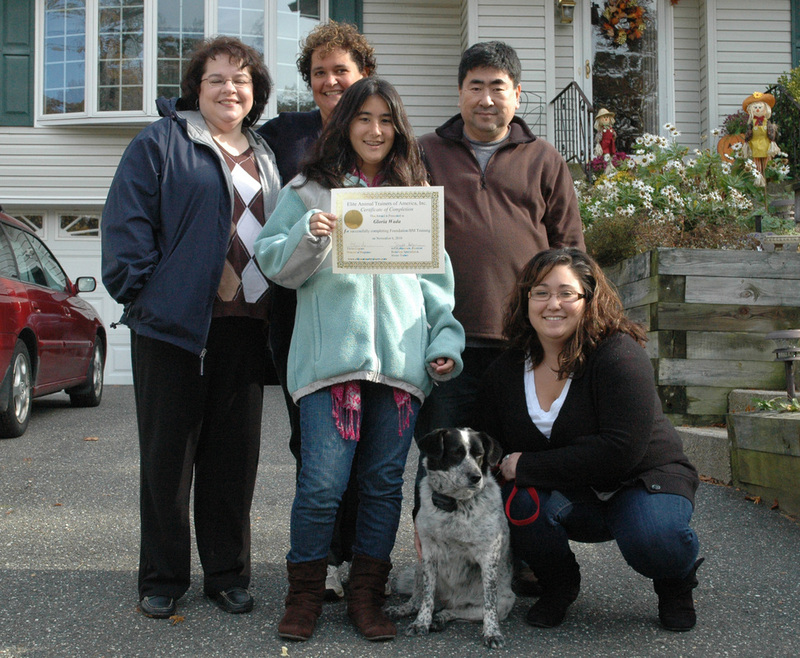 The six-weeks training program Gloria received from Jeff helped our family understand Gloria and her needs. Not only does she now have more control with basic commands, but she is not so quick to growl and bark at passing humans and / or other dogs. Our walks are calmer and she looks to us more often for guidance. Jeff took his time with each family member making sure that we all know how to handle the proper way. I especially appreciate the time and effort Jeff took on Gloria’s last lesson where he taught my sister how to walk Gloria. My sister felt confident enough to walk a dog for the first time in her life! I know we will be able to count on Jeff with any issues or questions that may arise. Sue, Vin and Jeff B. and "Sadie"
When we first arrived (at the center) with our dog Sadie, we were somewhat apprehensive as to whether this program would work because Sadie is a very active puppy. Jeff immediately took command and showed us exactly what needed to be done. Jeff also provided ample opportunity for us to learn and practice with Sadie and gave us appropriate correction when necessary. We also appreciate when Jeff came to our home to observe Sadie’s behavior in our home and backyard. 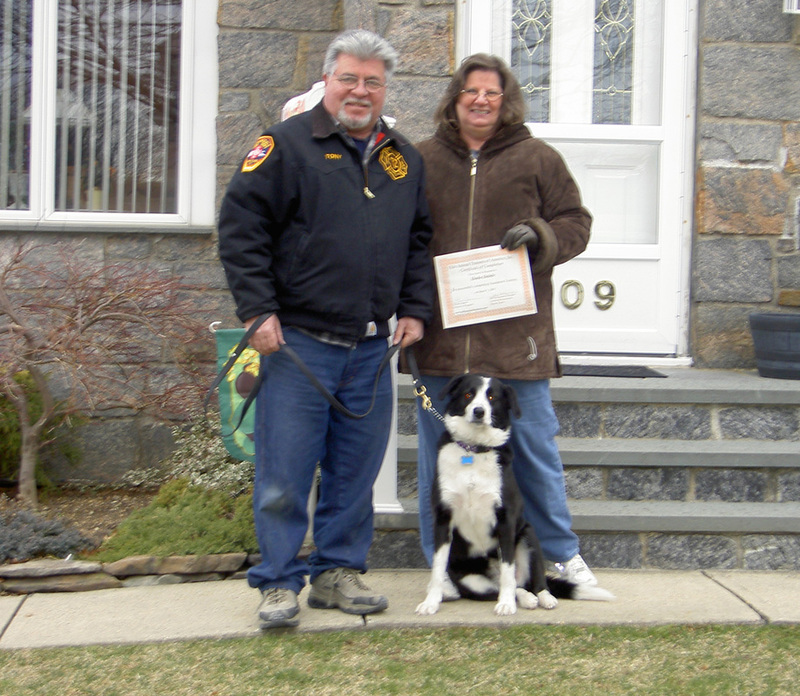 Jeff not only showed us how Sadie should behave in the yard, but also how to walk the dog in the street and how to prevent Sadie from responding to distractions. We would highly recommend this program to any dog owner. We had been extremely frustrated with Sadie’s behavior before the training. Now, we have a well behaved dog who responds to our commands. Thank you Jeff . Joe and Melissa P. and Family and "Oscar"
Jeff was our last resort – Oscar would not walk on a leash without pulling us and barking at people and cars. Oscar was biting all of us in a playful way and that was all the time and painful. 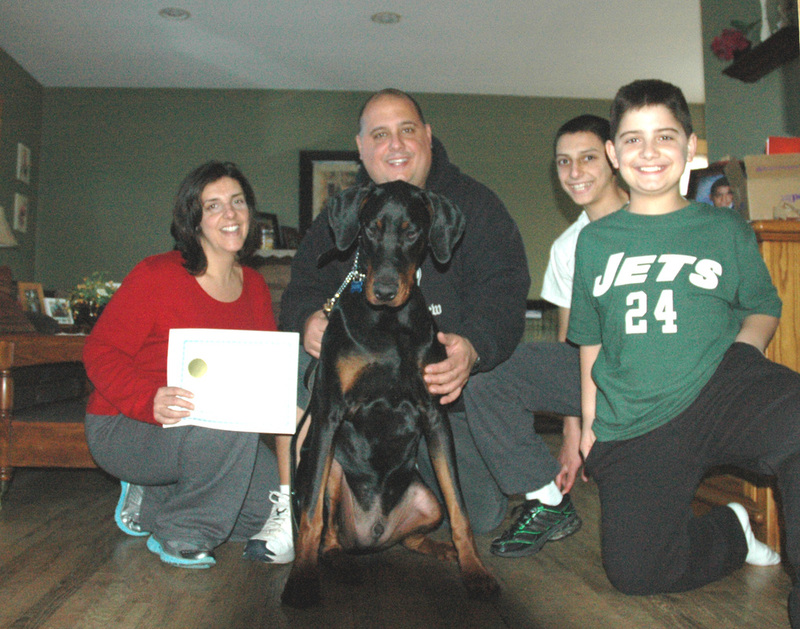 We did not know how to handle him and we have had three other Dobermans before him. Jeff showed us how to walk him correctly and Jeff taught us we need confidence. Oscar is a great dog and every day his improving. One day at a time. Thank you Jeff. Canela’s Foundation Training was very necessary for her obedience and respect between her owner Michelle and the other pets in our house. Canela visited and sometimes lives with three other dogs, two bulldogs and one Bassette Hound and has been aggressive at times. Now, with the training, I have a better handle and understanding on how to correct Canela and the result of the training- there is no longer chaos with our dogs- thanks to Jeff. When I first acquired Nikko-which was 2 ½ year ago- he was and still is very loving and playful. As he got older he started showing his dominant traits. He would without any reason attack Chyna (the oldest dog). He wanted to be the alpha dog. Then he started to become aggressive with Phoebe ( 5 lb Pomeranian) Although she started it by growling at him – he ended it by putting his mouth around her head- he hurt her three times. Nikko never went after Zoe because she is an extremely submissive dog. Both Chyna and Phoebe are not. Chyna has always been the alpha and Phoebe thought she was the alpha. After Nikko hurt Phoebe for the third time I was going to put him to sleep. 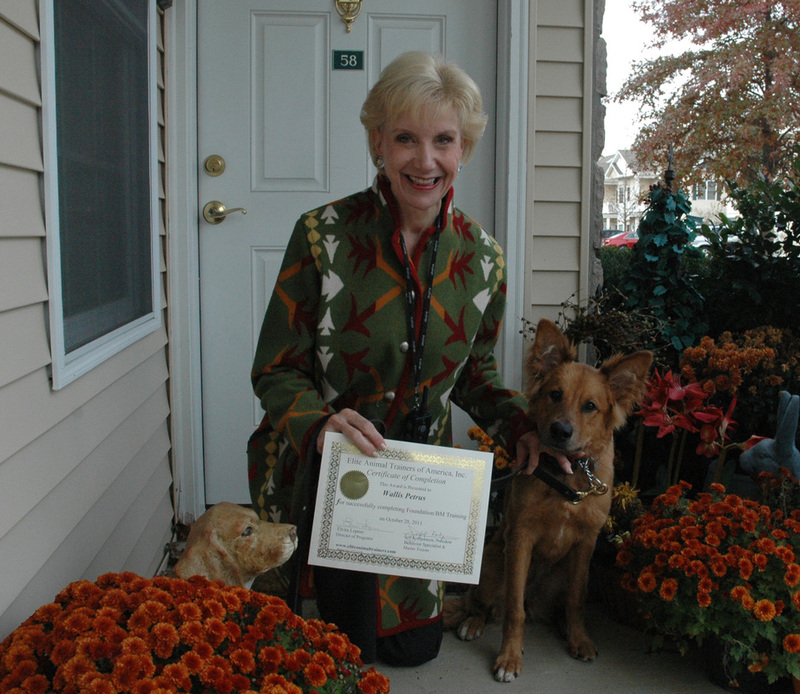 If it wasn’t for worker at the VME LI (Veterinarian Hospital) – he would have. I couldn’t, but I didn’t want anyone to hurt him. I truly loved him. I am glad I met Jeff. Now I have my little man and we are all happy. Jeff carried himself in a very professional manner. Our training sessions always started on time and Jeff always stayed late to answer questions. Jeff listened to what our needs were and addressed them to our complete satisfaction. More important than the solution itself is how we got there. Jeff included us in the process and gave us the knowledge to continue to work with our dogs after our sessions with Jeff have concluded. The experience we had with Jeff was very positive and we would have no hesitation recommending Jeff to anyone looking for dog training. I adopted Jackson from North Shore Animal League. In the beginning as a puppy he was OK, however as he got older, he began to become a lot more aggressive as far as pulling on the leash and jumping at people, coming in and out of the building I live in. He became extremely hard to handle the older he became. A friend recommended Jeff to me, because he trained her dog, so I set up an initial consultation. They assessed Jackson and felt the issues I was having were manageable, therefore after one session I started to understand how and what to do to keep him under control. I’ve been consistent with everything that Jeff has taught me and I am amazed at the results! Now I can safely walk him and not be afraid that he might hurt me or someone else because of his strength. The people that live in my building no longer look at Jackson as being “That Crazy Dog!” And now he is a pleasure to walk and socialize with people. I would highly recommend Jeff! THANK YOU VERY MUCH! It didn’t matter what was on the other side of the door, be it a mailman, or a girl scout, Murphy made his intimidating presence known. Adopting a large breed beyond “puppy hood” was fine with my husband and I, but little did we know, Murphy knew very little. Then Murphy met Jeff. At first he wasn’t sure about that training collar, but with Jeff’s willful patience, Murphy got over it. From then on, it seemed like smooth sailing. Murphy absolutely adored Jeff and you could tell just by the way he gazed at him. 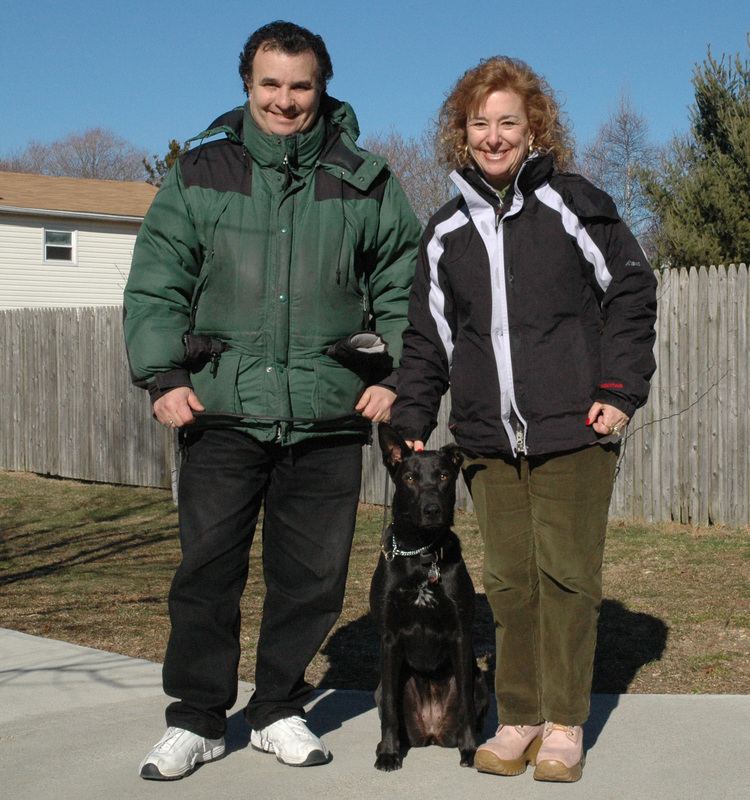 Throughout our sessions, Jeff trained all of us, working with Murphy and critiquing his handler. Murphy has now learned to go to “his place” whenever there is a visitor at the door. Murphy is also the example of a perfect gentleman when we go for our walks, which is so important for such a large breed. Jeff was fantastic from day one. He was always on schedule and presented himself in a very professional manner. He took the time to answer any questions or concerns we may have had and we never got the feeling our session was being rushed in any way, but rather it seemed he had all the time in the world for Murphy and us. 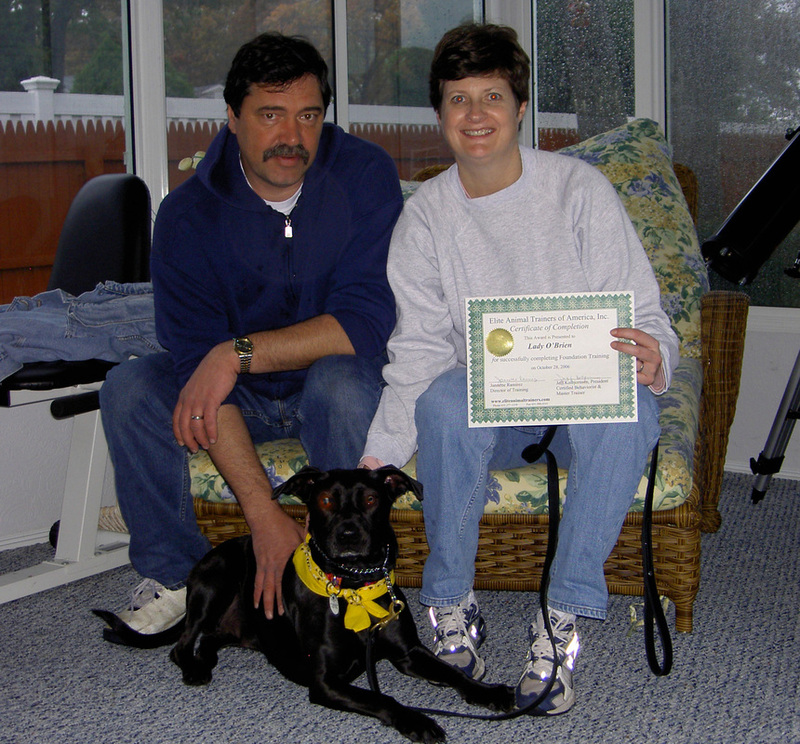 Because of Jeff, Murphy is calmer, more confident and altogether happier dog. Elvira and Jeff both worked thoroughly and freely to accommodate the timetables of two busy schedules. Everyone was courteous and wonderful and we recommend them to anyone in need of humane, respectable, and well rounded dog trainers. After owning dogs for 37 years, I finally met my match when I adopted Cassie, a six month old mix breed from a local animal shelter. She is a combustible mixture of bad traits, lack of training, and a surplus of energy. 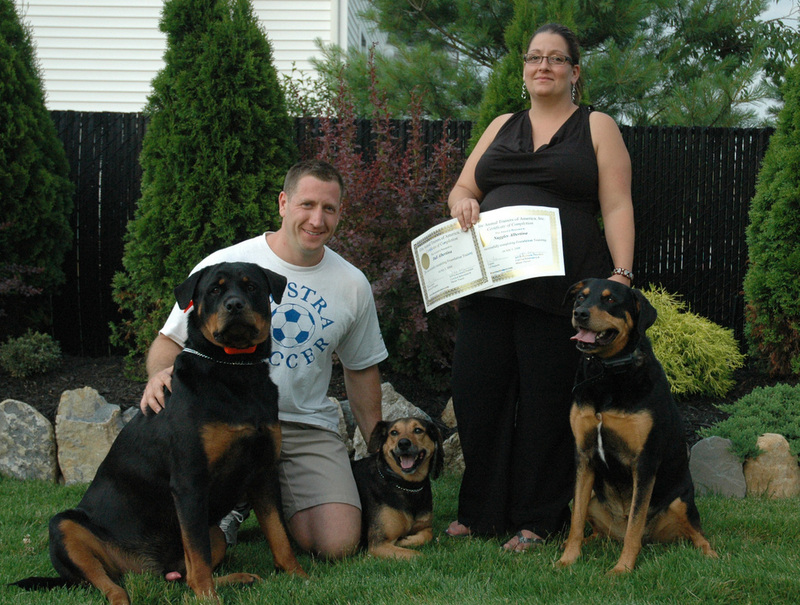 We contracted with Jeff when Cassie was 11 months old. 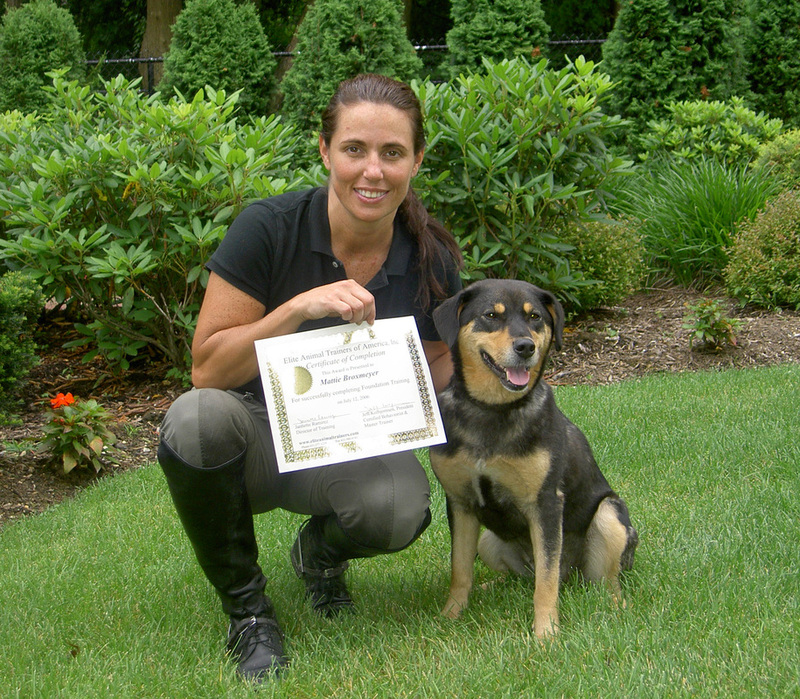 Cassie’s trainer Jeff is professional and knowledgeable in his field. He is working with Cassie on behavior modification so that we can enjoy our pet. Jeff has been a life saver, both literally and figuratively. At a time of crisis, Jeff was there for Cassie and for me. He went far beyond his professional obligation and tended to both Cassie’s needs and mine. I will forever be grateful for Jeff’s help and kindness. The first time I heard about Jeff was when I read an article in Newsday about an American Pitbull Terrier “Duke” that was wrongly accused and how this guy, Jeff Kolbjornsen had come to his rescue. Having looking to adopt an American Pitbull Terrier myself I was interested in the article. Jeff had spoke about the misconceptions about the breed and seemed really concerned about the future of this dog. At the end of the article was the name of Jeff’s company with the web-site address, which I visited on many occasions. I knew if I needed some guidance in the future, this was the place I needed to go. 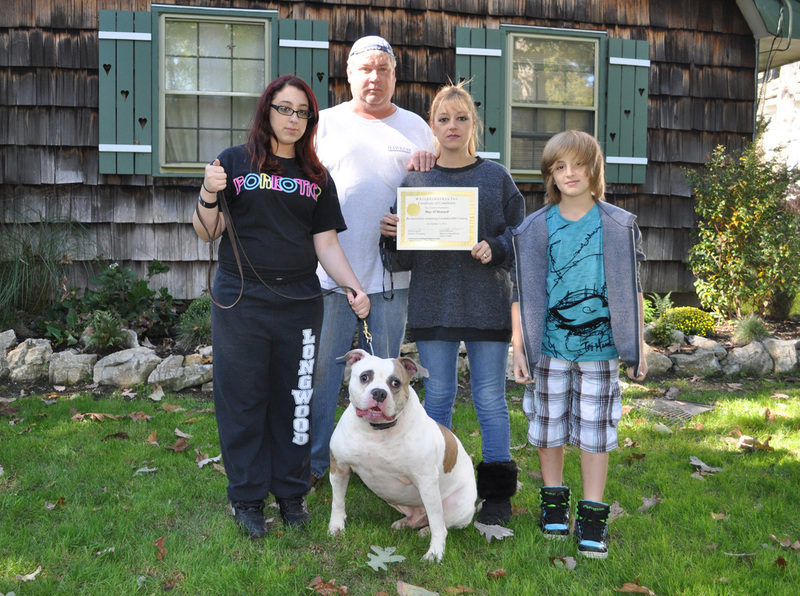 We adopted “Buddy”, an American Pitbull Terrier, from the Nassau County Animal Shelter. He was the perfect dog, except for the extreme pulling when walking, it was a workout when walking in the neighborhood and the chaos when our family cats walked by. We had to separate the cats from the dog by keeping the cats in the finished basement with the door locked. I didn’t want to risk the chance that Buddy ever get a hold of one of the cats! I knew we couldn’t keep living in these conditions so I made a call to Jeff. From the very first lesson I began to see results. Every week we would work with the cats more and more. Our basement door is now open to let the cats come up as they please and Buddy is a pleasure to walk. When my family and friends visit they always compliment what a great dog we have! Thanks to Jeff and the people at his center. Buddy is an ambassador of his breed. In such a short time we achieved what we were trying to do. It would have taken us a long time by ourselves. Jeff showed us what to do by educating us and understanding our dog. Zelda started out a good sweet dog and now she is just a beautiful and “perfect” dog. 100% sweeter! Jeff come with the highest recommendation. 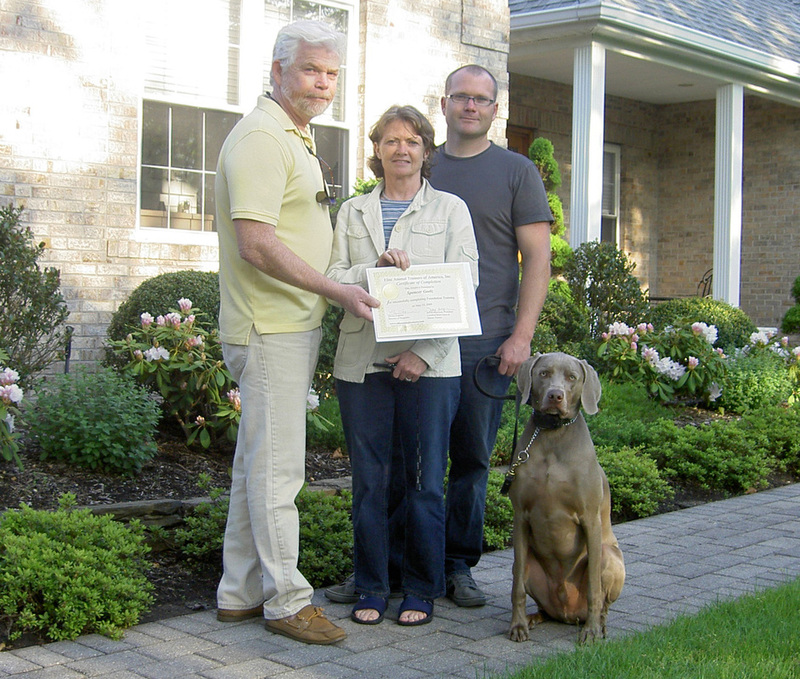 Jeff was not only very professional but had a genuine care and concern of the well being of my dog in any circumstance. Brandy, our 6 month Labradoodle had developed food aggression. She was growling and snapping at us when we went near her while she was eating. We were at loss and didn’t know what to do. We were working with another trainer who was using a lot of food rewards and Brandy’s behavior was getting worse. We were at the point that we were going to give up Brandy, because we could no longer handle her. Our vet recommended that we call Jeff. Jeff came over that day and reassured us that Brandy was trainable and the food aggression could be cured. Brandy spend 2 days at Jeff's center to work on the food aggression. When she returned home Brandy was like a different dog. We were able to keep her in control and therefore we were able to enjoy her. 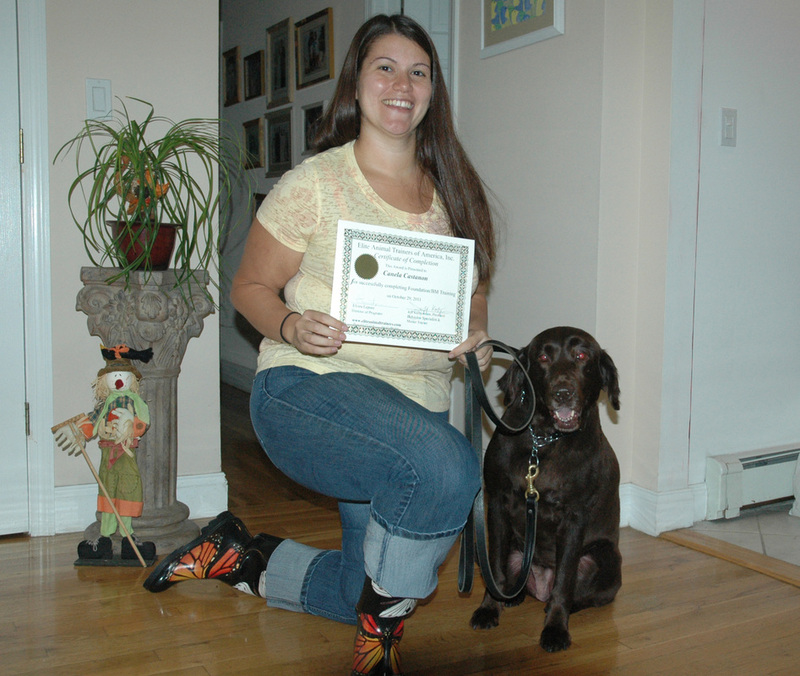 We continued to work with Jeff at home, where he went over the fundamental training of sit, down and heel. Jeff taught us what to expect from Brandy’s behavior and how to keep her in control. It was obvious that Jeff loves dogs and what he is doing. Our dog improved from day one. I hope we continue to train Spencer as we have been taught! See you at Christmas time for boarding. We are the owners of a Cocker Spaniel named Sam. He was as it turned out from a Puppy Mill. Because of this he had developed certain traits of an aggressive manner and we were unable to deal with them…to the point that the only other alternative we thought we had was to possibly have him “put down”. And that broke our hearts as we had grown so attached. I had called everyone I could find on the internet, vets etc and then I believe god has his hand in us finding Jeff. He first visited us and our dear Sam showed his “true colors” and we figured it was all over, but Jeff shocked us by saying Sam could be changed!! It was our last try, and Jeff saved the day. Jeff was patient with us and worked amazing things with Sam. He always addressed our fears and concerns with kindness and imparted his extensive knowledge and love for animals with us and even shared his dreams for his future endeavors. We highly recommend his services. His staff was/is highly professional also and a reflection of Jeff, and we wish you all continued success. My dog Jake had behavior problems. One of which was biting. Jake had bitten me in the face about 5 months ago. At that time I was told to put the dog down. I wanted to do the right thing for all involved so I did some research. That is how we found Jeff, through research online. I decided Jake and I just might be a perfect fit with Jeff's Elite trainers, so we gave them a call. 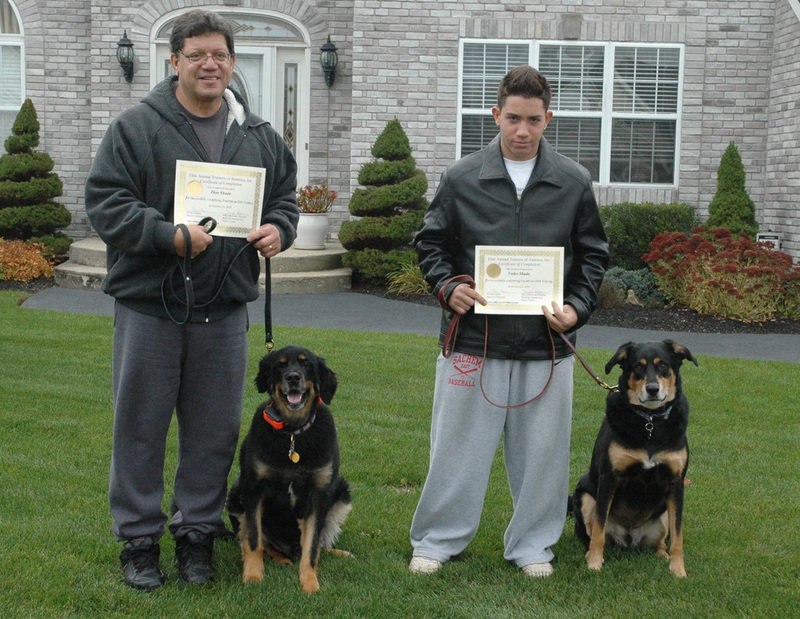 Jeff evaluated Jake at my home and felt that he could work with Jake to change his poor behavior. The training was a success and I’m glad I did it. I’m happy for the relationship I have now with Jake. Oh, by the way, I should add that Jake is a rescue dog and deserved a second chance to become the wonderful dog that I knew he could be. Dear Jeff! Thank you all so much for making our “Lady” a happier doggie: We learned from her evaluation that she is not an aggressive dog, but more of an over protective dog. Her challenges were with little barking dogs and with strangers approaching us or her property. I am happy to report that after 6 sessions of foundation sessions she is no longer as protective as she was. 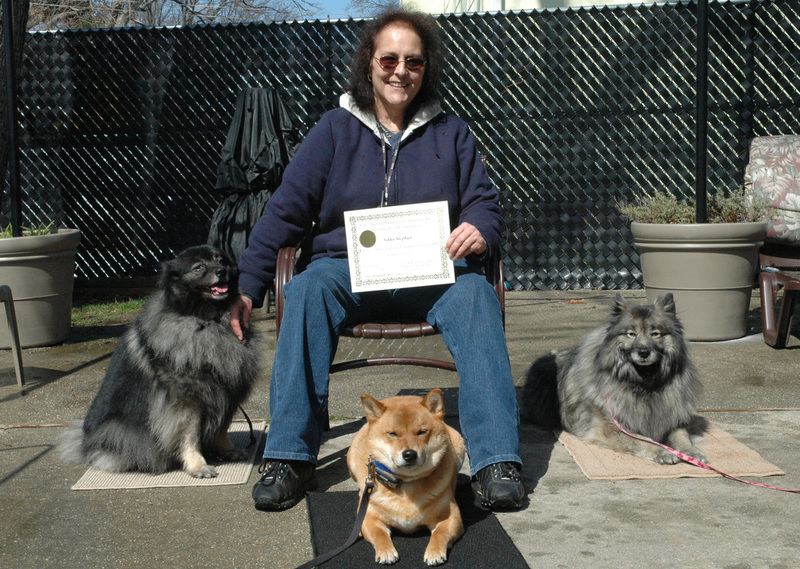 She is able to walk past little barking dogs without lunging after them and is able to meet strangers without snapping at them. And when the door bell rings, we put the down-stay or sit-stay and she waits patiently until released. The best feeling is that several of my neighbors have stopped us on our daily walks and commented about the positive difference that they have seen in her. We gave them your name, indicating that the fee is higher than most places, but in the end it has been worth it! Thanks again and we look forward to working with you on future sessions for Lady. We took Oreo to a basic training class at an off site location. It was a start, but we did not help us learn how to keep our Black lab out of the bathroom garbage or how to stop her from barking and jumping on the back door. We also have a child with Cerebral Palsy and she wanted to be able to walk Oreo too. Jeff came in and did the initial evaluation and we immediately felt comfortable. The training started for Oreo and us. We had to do our homework each week and Oreo improved each week. All of our neighbors say she’s such a different dog. She even sits nice at the bus stop with all of the neighborhood kids in the morning. No one is afraid of our 70 lb Black lab anymore. We want to thank you very much! Without your help we would have never learned what a truly amazing pet we have! My sweet and even-tempered dog Sophie had become fearful and slightly aggressive as a result of being shuffled between two homes. 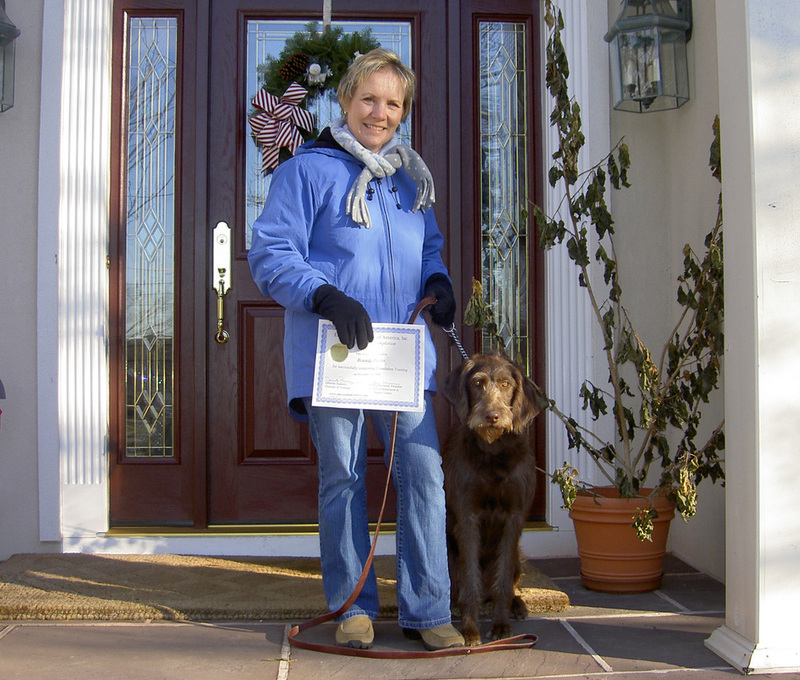 After just one lesson with Jeff I started to see an improvement, and by the time she “Graduated”, she was not only moving past her fears, but she was an even better behaved dog than she was before! My dog is happier now, and that makes me happier. Thank you Jeff. Rudy came into our home, from an animal shelter, thinking he was the alpha of the pack. Not having an experience with a dog in our home we were at loss as to what to do. Rudy was most aggressive toward the children nipping at them (8 year old boy and 11 year old girl) as they passed by him or randomly when they went to pet him. He was also difficult to deal with when walking him- he would walk us or decide not to walk, etc. There were other issues as well, jumping on guests, chewing on everything in sight, etc. But our chief concern was the aggressiveness with the children. My husband and I thought we had to give Rudy back to the shelter. We could see no other alternative after all he was a “bad” dog. It was the little shelter who introduced us to Elite Animal Trainers. I called crying my heart out to Jeff who patiently listened and made an appointment. A few days later we sat in my home with Jeff. Jeff sat and evaluated us/Rudy for at least an hour and a half and made sure Rudy was salvageable and in fact not an aggressive/”bad” dog at all but a dog who needed training badly to know where his station was in the household. My husband I weren’t so sure 6 week training program was going to do the trick. Surprise!! 6 weeks later Rudy is a “nice” dog. No more aggressive behavior toward the children. We walk Rudy, he does not walk us. He sits, lays down, heels, jumps into the bath when it’s bath time, stays in position until I say come and so much more! 6 weeks and we have a new dog, a dog my children can play with, a dog that we will keep. A special thank to you Jeff. What a gift you have. Thank you again. I stumbled upon Jeff’s information at a local business establishment and it was the best thing that happened for us and our Spanky. That afternoon we were forced to leave the park because of Spanky’s “bulldogginess” and the next day we made the call. I was greatly impressed with Jeff’s care, concern, and professionalism. From start to finish Jeff went above and beyond what we could have ever expected. Immediately after the first session of Foundation Training we noticed an improvement in Spanky’s behavior (and that was with having little time to spend with him the first week on our part). Now he is like a new and improved dog! It is great to be able to enjoy the time with him even more than ever before. What’s even more enjoyable is knowing he is going to get even better as we put the time in. We can’t thank Jeff enough. The experience has been quite impressive! Thank you again Jeff. 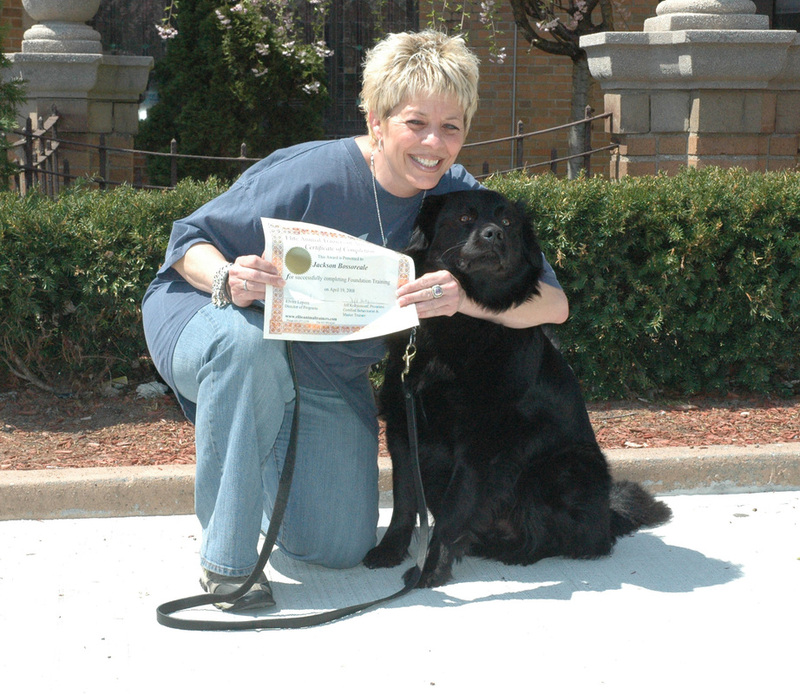 I loved having Jeff involved in my dog training and also my training. It was very informative and helpful. I learned that both the dog & the person must be trained and Jeff taught me so much that I am able to teach it to my family. Jones has improved so much and I intend to keep up with the training on my own and with Jeff. I know my dog loved Jeff by the way he would look up lovingly toward Jeff. It was obvious Oreo wanted to please Jeff because there was a mutual affection between them. The relationship the 2 of them developed made the training fun and enjoyable. The whole family looked forward to the sessions. 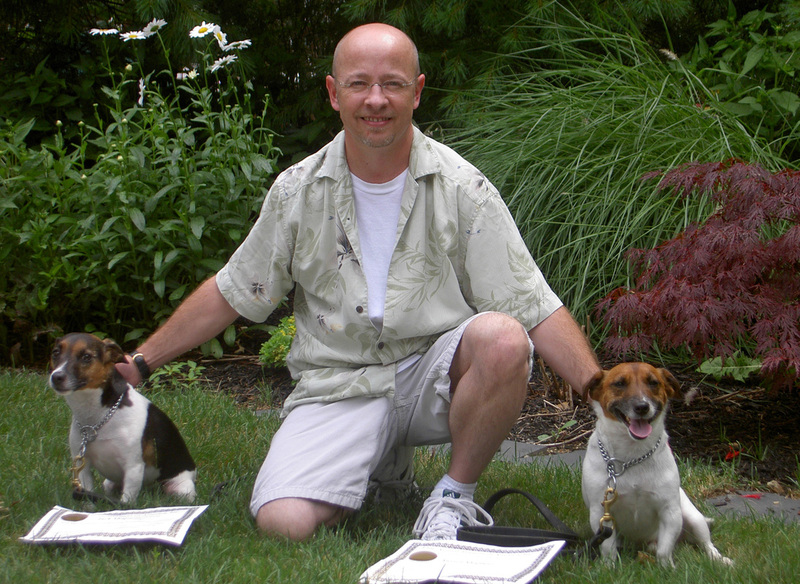 I have 2 male jack russell terriers from the same litter who were having some behavioral problems. I called Jeff & he knew exactly what was causing the problems & what to do to fix them. After 6 sessions my dogs are noticeably more well behaved & if a problem does occur, I know exactly what to do to stop or prevent it. I highly recommend.